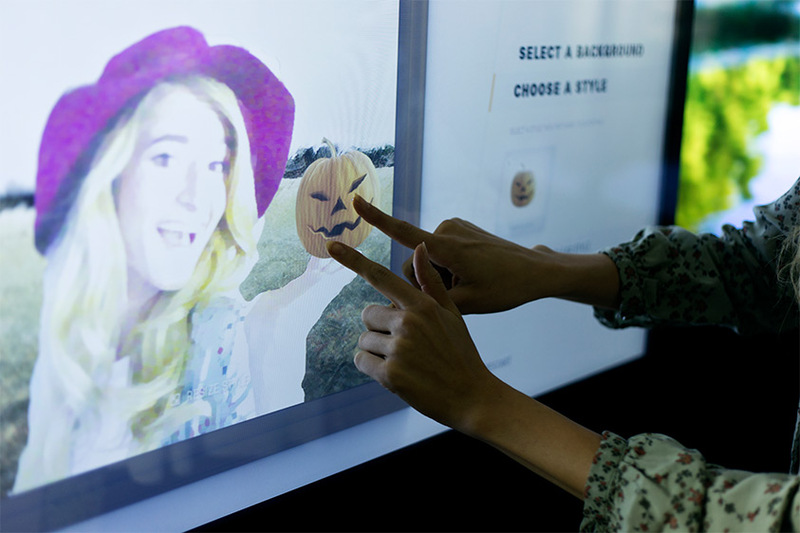 Ideum has created an opportunity for museum visitors to actually become works of art. 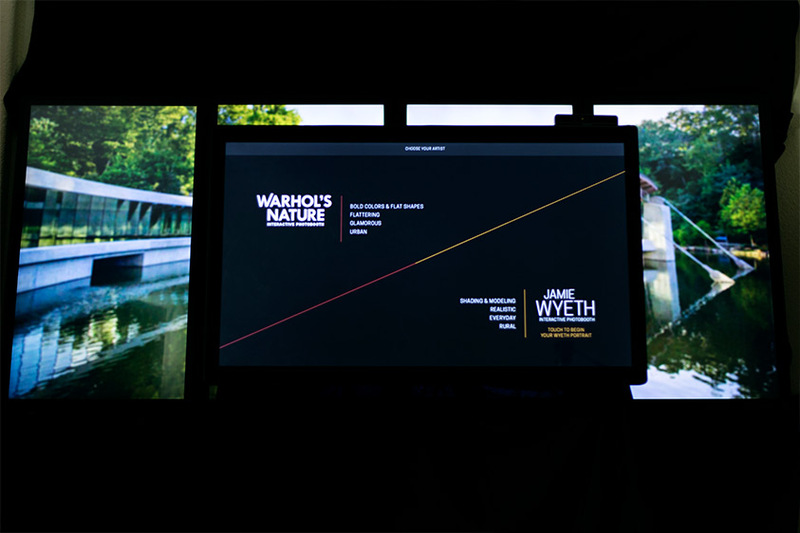 We recently designed and developed the Warhol / Wyeth Interactive Photo Kiosk with the Crystal Bridges Museum of American Art in conjunction with their exhibitions Warhol’s Nature and Jamie Wyeth. 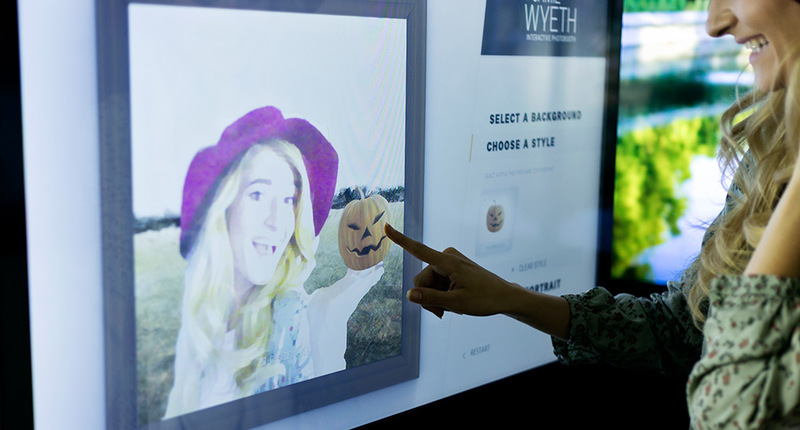 In this unique interactive, visitors to the museum approach the kiosk, then choose between the styles of two American artists – Andy Warhol and Jamie Wyeth. 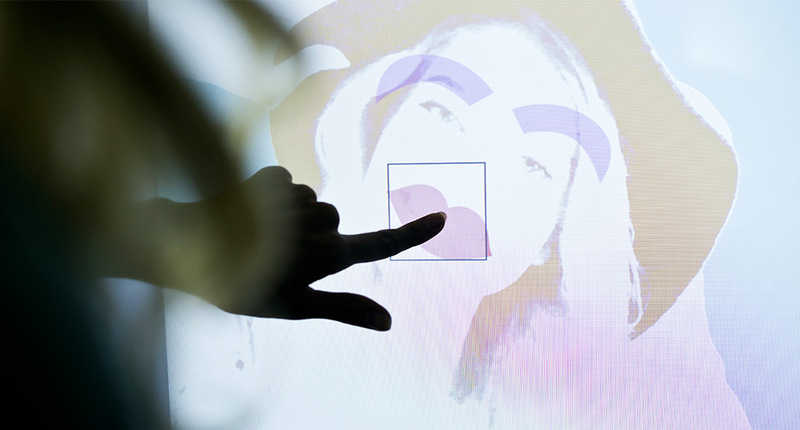 An Intel RealSense camera is used to detect the visitor, whose image will appear on a screen with the background automatically cut from around them. The visitor can choose from among several virtual backgrounds, all based on the work of either Warhol or Wyeth. They will capture their own image, then choose style elements to apply to their image, effectively adding themselves into pictures reminiscent of the works of one of the two American artists. 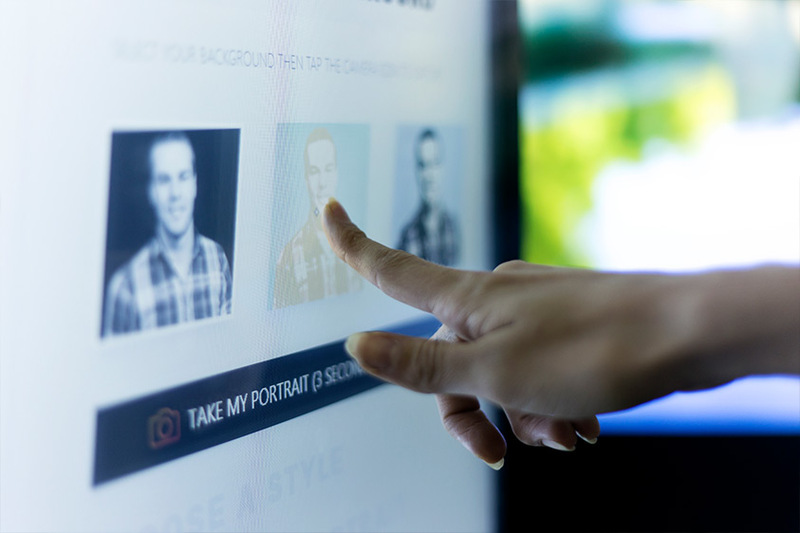 After their image has been captured and the styles applied, visitors can email their picture to themselves and/or publish it onto Crystal Bridges’ Tumblr page for the activity. 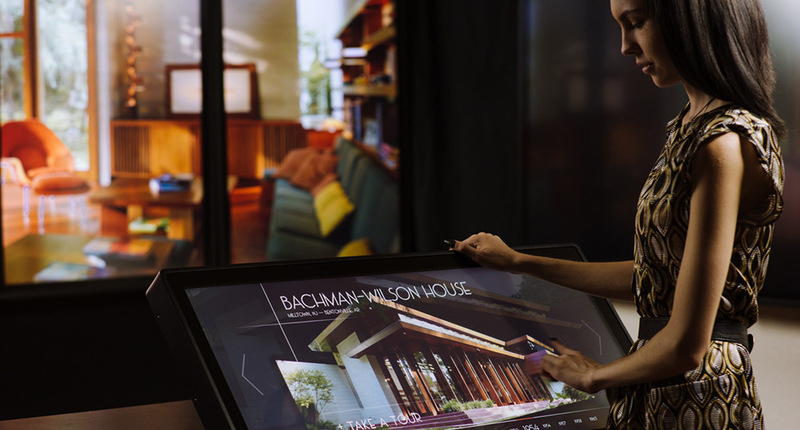 Ideum, working closely with Crystal Bridges, designed and developed the application and created all of the art for the backgrounds and styles. Ideum also designed the Tumblr page for the activity. Warhol’s Nature and Jamie Wyeth will be on display at Crystal Bridges through October 5th. To learn more about these exhibitions at Crystal Bridges, visit their website. Visitors select the style of one iconic American artist. A visitor chooses the background for her portrait. Elements inspired by the chosen artist complete the painting. 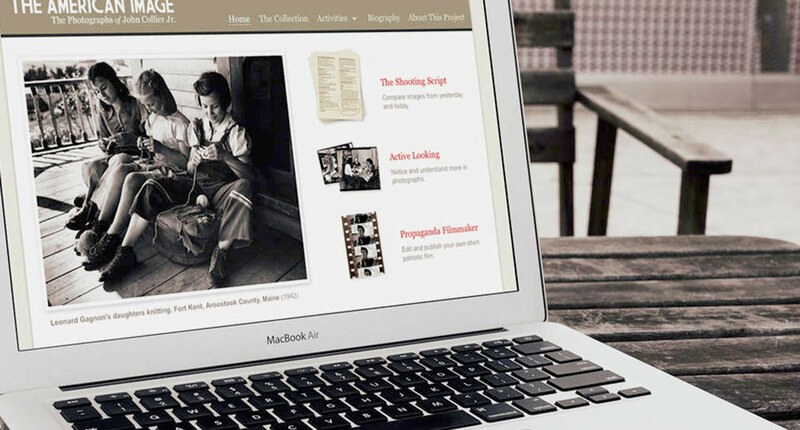 Showcasing the Photography of John Collier Jr.